‘We Lived Alone’ film screening. 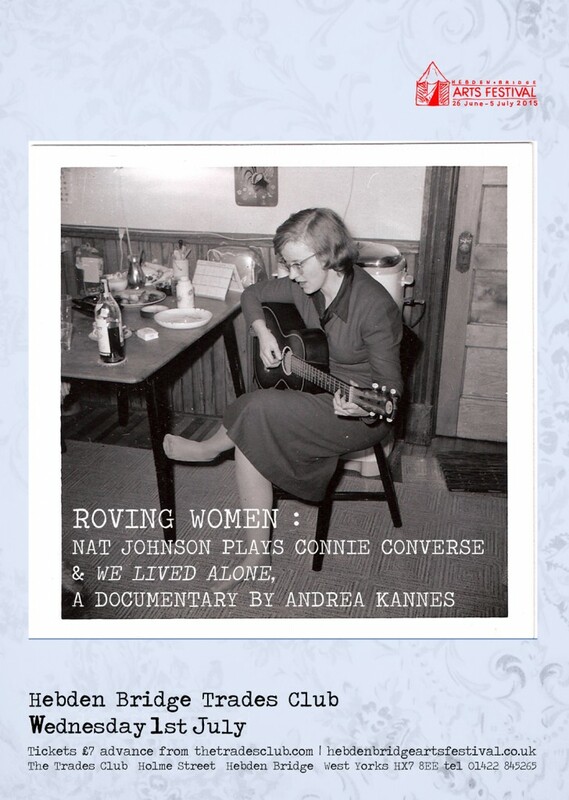 To those who knew her, Connie Converse was a daughter, a sister, a scholar, a poet, an artist, a political activist, a composer, and a musician. She was indeed all of those things, but as one can tell from her personal writings, Connie was much more. She was a human in a lifelong battle with herself. Each year brought more disappointment and loneliness as she struggled to connect herself to this world while seeking commercial success for her work. Faced with major surgery, an impending trip to be spent sober with her mother, and a crippling sense of failure, Connie Converse drove off in her Volkswagen bug leaving only notes of goodbye. The year was 1974 and she was 50 years old. Connie was never heard from again, and all we have left is a filing cabinet of meticulously organised papers and her beautiful haunting music. Nat Johnson will be writing and performing new arrangements of several of Connie’s songs with accompanying musicians Hannah Browne, Katherine Jackson, Oliver Allchin, Neil Piper and Chris Loftus. We will also be screening her Andrea Kannes’ new documentary “We Lived Alone”. Andrea was given access to Connie’s filing cabinet to make the film, uncovering not just more music, but artwork and letters, meeting with Connie’s family and building up a picture of this mysterious and extraordinarily talented woman.